The massive write-down is part of a negotiated Chapter 11 bankruptcy that will provide the SCCA Proton Therapy Center some financial breathing room to seek profitability after a net loss of $81 million over the past two years. Five years ago an advanced cancer-treatment facility debuted near Northgate, supported by top Seattle oncology clinics and unmatched by anything north of San Diego or west of the Mississippi. The SCCA Proton Therapy Center, where 10-foot-thick, lead-lined concrete walls isolate a particle accelerator that harnesses and fires protons generated from hydrogen gas, was one in a national wave of such costly facilities funded by private investors and lenders. Next week those original backers will be handed a loss of some $135 million. The massive “haircut,” as investors call such write-downs, is part of a negotiated Chapter 11 bankruptcy that will provide the center’s local operators some financial breathing room to seek profitability after a net loss of $81 million over the past two years. 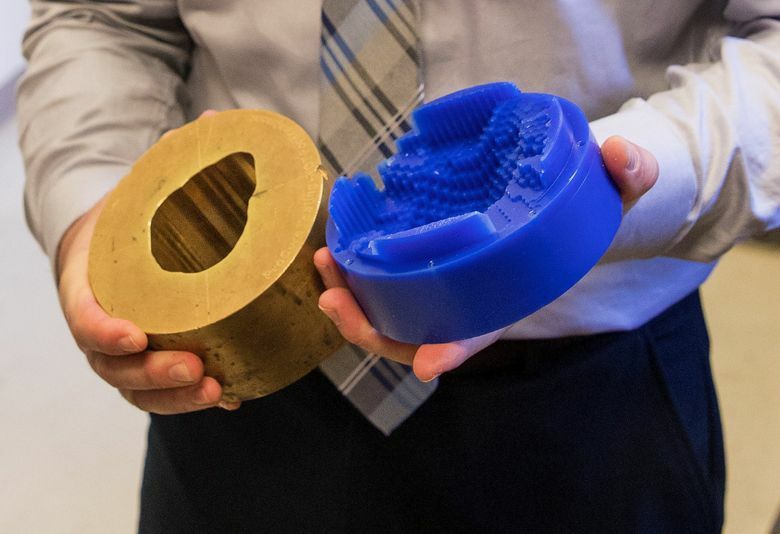 Seattle’s proton center is not alone in its troubles. A sister site in Oklahoma City sought Chapter 11 protection on the same November day, and a dozen or so others around the country have reorganized or closed in recent years. Outpatient treatments are 15-45 minutes in length, 5 days a week, for 4-8 weeks depending on the specific cancer diagnosis. 170,000 patients treated worldwide, including 75,000 in the United States. Approved by the FDA for cancer treatment in 1988. Most common cancers treated at Seattle center: Prostate, pediatric, brain, head & neck, opthalmic. 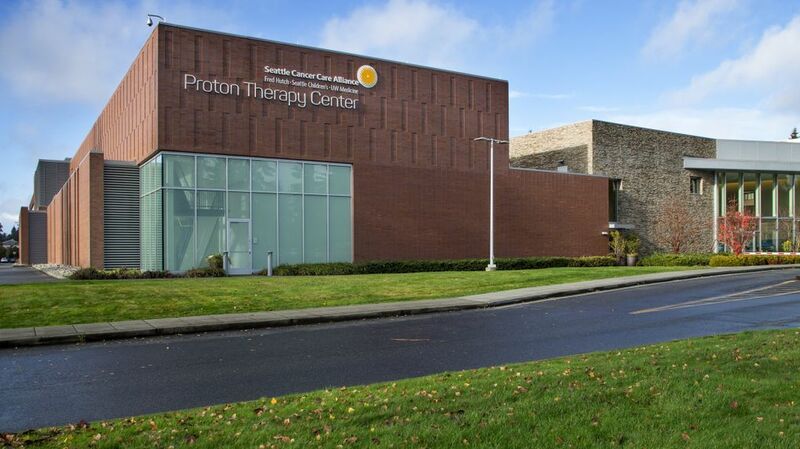 As proton centers proliferated over the past decade, the technology “became the poster child for expensive therapy” in part “because the facilities themselves are so expensive,” said Norman Hubbard, executive vice president of Seattle Cancer Care Alliance (SCCA) and a member of the Seattle proton center’s reconstituted governing board. 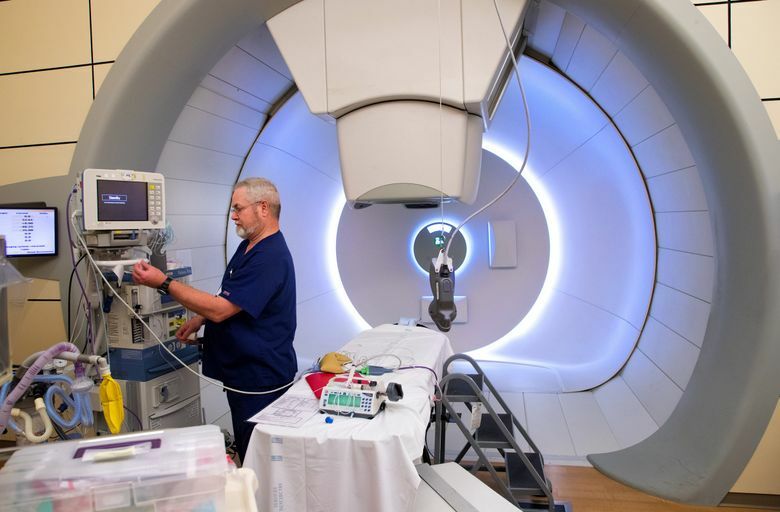 The restructuring drama should not affect patients — frequently children, people with brain tumors, or men diagnosed with prostate cancer — who come to the center for precisely targeted proton-beam radiation that may be administered daily for weeks. The center has treated an average of 500 patients a year since 2016. One day this week, a chirpy young brain-cancer patient wearing a blue T-shirt needed a three-rung step stool to clamber onto the treatment table. For patients younger than 9, each daily round requires total anesthesia to ensure they do not move. For 66-year-old Dexter Brown, of Edmonds, proton therapy was a choice made after studying various alternatives, and the outcomes when his father and a cousin were treated for prostate cancer. “It’s like nothing else in health care,” said Annika Andrews, president and CEO of the SCCA Proton Therapy Center, about the unique and costly infrastructure required for a proton center. In Seattle’s 53,000-square-foot building, four treatment rooms with specialized equipment for different circumstances are fed beams of protons shaped and steered by powerful electromagnets. The fortified bunker with the particle accelerator sits at one end of the building, while the other end hosts an airy patient waiting room with floor-to-ceiling windows. The therapy promises radiation that can be precisely targeted and calibrated to zap just the malignant cells, rather than shooting onward to hit and harm the healthy cells beyond. And, said Hubbard, “it’s now the standard of care” for most pediatric radiation therapy, because conventional photon therapy with X-rays or gamma rays can leave behind damaged cells that develop into secondary cancers several decades later. In the proton center’s machine shop, racks of heavy brass disks wait to be custom drilled with a hole in the shape of an individual patient’s tumor. Masking off the nearby tissues is one way of preventing collateral damage. Atop that disk, the shop will add a layer of hard wax that is computer-sculpted to reflect the tumor’s three-dimensional structure. The wax absorbs some of the radiation, ensuring that thicker or thinner parts of the cancerous area get the right doses. Another way to ensure precise targeting is pencil-beam scanning, where a narrow beam of radiation paints its way across a tumor. In collaboration with Seattle Cancer Care Alliance — itself a 20-year-old partnership among the Fred Hutchinson Cancer Research Center, the University of Washington Medical Center and Seattle Children’s — the Seattle proton center was built under a 2010 agreement with a company called ProCure. The initial construction cost was $140 million. It was “an exact twin” of three others that ProCure rolled out before it, said Hubbard. Of those, one in Chicago was a money-loser before being sold to local hospitals. The one in Oklahoma City, which like Seattle’s sought Chapter 11 bankruptcy protection on Nov. 15, is slated for a fire sale to new owners rather than a restructuring. ProCure’s third center, in New Jersey, also was recently refinanced and sold. Others have also struggled and restructured, or even closed. Last year a three-year-old center in San Diego that cost a reported $220 million to build was acquired through bankruptcy proceedings for $51 million. An early proton center at Indiana University closed in 2014 for lack of money for upgrades. The five-room Maryland Proton Treatment Center in Baltimore, an affiliate of the University of Maryland Medical Center, was forced to restructure less than two years after opening. In many places, said Hubbard, smaller hospitals “put gobs of money into these things without thought” of the local market and the health-care network. Since that first wave, technology has advanced so the accelerator at the heart of a proton center is smaller and less expensive. That means there’s less pressure to build a big operation. “Now the trend is to build these smaller, nimble one- or two-room facilities,” he said. One reason for the financial struggles of these centers is the cost of treatment and insurers’ reluctance to pay for it. “We spend a lot of time arguing with insurers,” said Andrews. Some critics question whether the benefits outweigh that added cost and call for more head-to-head clinical trials to compare proton therapy to conventional radiation. Advocates complain that without support from insurers, it’s difficult to line up patients for such trials. The Seattle proton center’s restructuring, if approved as expected by a bankruptcy court judge on Wednesday, leaves lenders with about 15 cents on the dollar. They’ll walk away with $25 million, rather than holding unpaid IOUs for almost $160 million. The lenders will be paid with part of a $41.3 million infusion generated by selling new debt, through bond financing arranged with a Wisconsin municipal finance authority. Other creditors will also be repaid. The deal will leave the proton center with some $9.5 million for capital improvements, including money to expand its pencil-beam scanning capabilities, said Andrews. The center’s financial projections call for revenues to rise modestly from $29.8 million this year to $31.9 million in 2019. But with its debt service slashed from nearly $43.9 million this year to about $3.3 million in subsequent years, the center projects it can climb beyond breakeven in 2020. 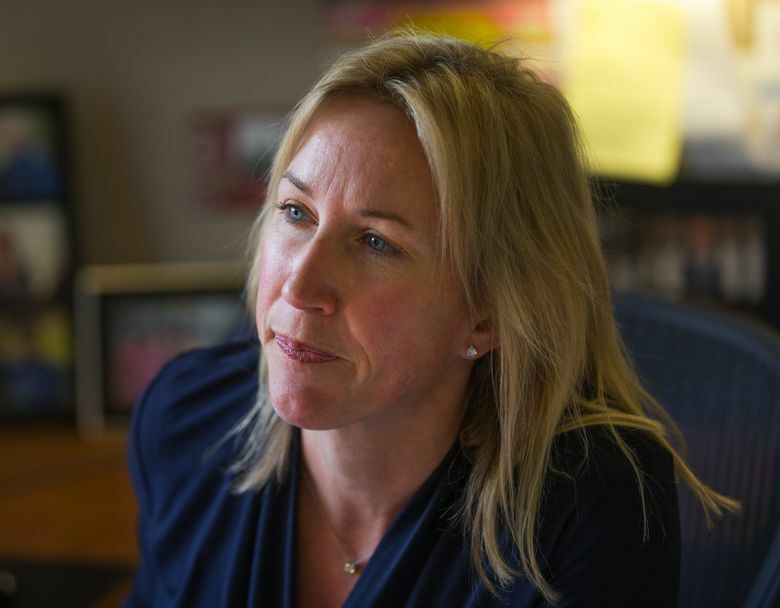 The restructuring also puts SCCA and its Seattle partner nonprofits firmly in control. At this stage, where the technology is still finding its most appropriate uses and winning converts, that’s a much better setup for therapy than a center owned by investors or a smaller community hospital, said Hubbard. Despite the field’s setbacks, said Hubbard, leading cancer-research and -treatment centers such as the Mayo Clinic and New York’s Memorial Sloan Kettering Cancer Center are now operating or building proton-therapy centers. This story has been updated to correct the description of the bonds to be issued. They are not tax-exempt.